West African singer Alpha Blondy grew to be one of the world's most popular reggae acts throughout the '80s and '90s. Singing his songs in multiple languages, he used his music to address political and spiritual issues, with some of his most popular songs dealing with political topics of the times, like 1985's "Apartheid Is Nazism" and 1998's "Yitzhak Rabin," a tribute to the assassinated Israeli Prime Minister. Sometimes called the Bob Marley of Africa, he worked with the Wailers on the 1983 single "Cocody Rock" as well as the 1986 album Jerusalem. 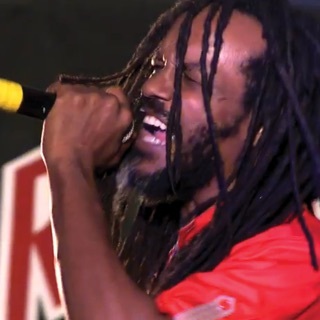 He continued recording and performing long into the 2000s and 2010s, focusing on Rastafarian beliefs as well as unity between warring factions of different religions. 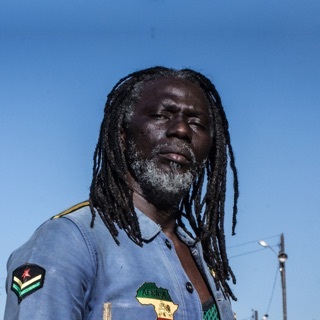 Along with his 12-piece backing band Solar System, Alpha Blondy kept up his track record of strong albums with entries like 2011's Vision, 2016's Positive Energy, and 2018's Human Race. Hailing from the Côte d'Ivoire, Alpha Blondy was born Seydou Kone in 1953. He grew up part of the Jula tribe in Dimbokro and spent his youth moving toward what seemed like a promising career in academia, studying English at Hunter College in New York, and later in the Columbia University American Language Program. He dabbled in music while in New York, going so far as to record some songs and perform at open mikes, but nothing much happened with his music until he returned to the Ivory Coast after college and began working on original songs. Though he grew up listening to African folkloric music such as yagba and gumbe, his primary musical influences were such Western rock artists as Deep Purple, Pink Floyd, Jimi Hendrix, the Beatles, and Creedence Clearwater Revival, and soul artists like Otis Redding. Later, Bob Marley's music tremendously affected Blondy. He got his big break from friend Fulgence Kass, an employee of Ivory Coast Television who helped him land a spot on the Premiere Chance talent show. Singing three of his own tunes plus Burning Spear's "Christopher Columbus," the young artist was a hit with the audience. Blondy then hooked up with producer G. Benson, who recorded his eight-song debut album, Jah Love, in a single day. The most popular song, "Brigadier Sabari," was an account of Blondy's run-in with an Abidjan police street raid in which he was nearly beaten to death. It was the first time a West African artist had dared to mention police brutality in public. After releasing the album, he and the newly formed Solar System band signed to EMI. They recorded his second album, Cocody Rock, in Paris in 1984. Later he returned to Tuff Gong to record his third album, Jerusalem, with the Wailers backing him up. 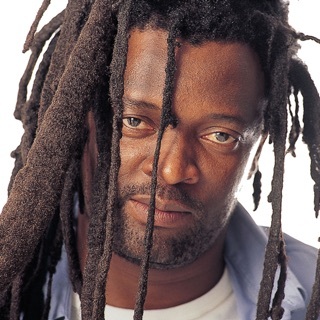 By the release of his 1987 album, Revolution, Blondy had established himself as an international artist. Calling himself an African Rasta, he created Jah-centered anthems promoting morality, love, peace, and social consciousness. With an emotional range that moved from sensitivity to righteous rage over injustice, much of Blondy's music empathized with the impoverished and those on society's fringe. Also a staunch supporter of African unity, he would sing to Muslim audiences in Hebrew and sing in Arabic to Israelis.